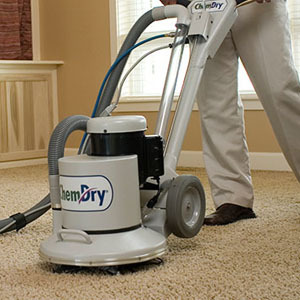 You may have noticed that with some Los Angeles cleaning services, your furniture gets dirty quickly after. This happens when a dirt attracting residue is left behind. 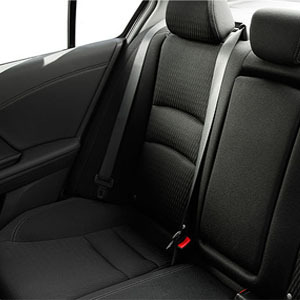 When you use Chem-Dry in Los Angeles CA, you can expect your upholstery to stay cleaner longer as we stay away from any harsh soaps, shampoos, and detergents that would leave behind a dirt attracting residue. The main solution that we use can be described as using club soda to take a stain off your shirt, but of course a lot more effective. 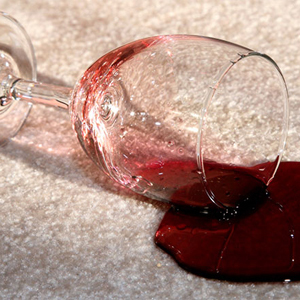 The power of carbonation will pull dirt from deep in your furniture’s fibers. Common Los Angeles allergens are constantly moving around in the air you breathe and soft surfaces such as sofas, chairs and other furniture actually act as giant filters, trapping these allergens and keeping them out of the air you and your family breathe. But, just like an air filter, furniture becomes full over time and must be properly cleaned to remain most effective at trapping particulates as they settle from the air. 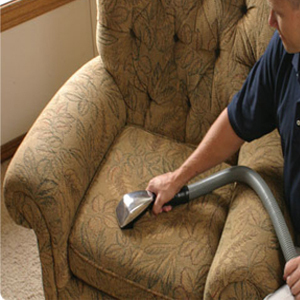 You can ensure healthier indoor air in your Los Angeles home by keeping your upholstery clean and in good condition through regular vacuuming. 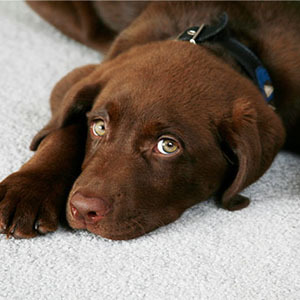 Also, by having your couches, sofas and chairs professionally cleaned every 3 – 4 months to clean out the trapped allergens. 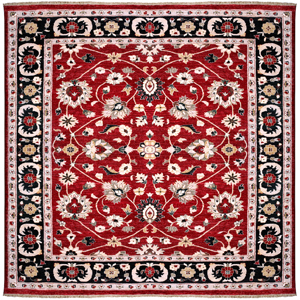 We provide cleaning services and estimates in the Los Angeles CA and surrounding areas. Don’t see your area in the list? Call now to see if we can service your city! 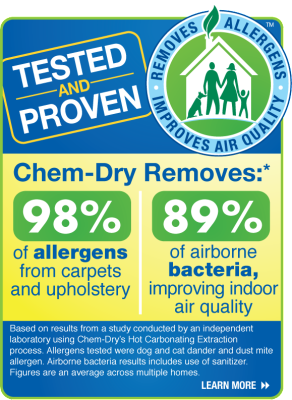 Learn more about upholstery cleaning by Chem-Dry. Dust to control mites. By dusting surface and washing bedding often, you can control the amount of dust mites in your Los Angeles home.